I have a bunch of early literacy activities ready to post but after my daughter and I played this simple memory game for kids this weekend she begged me to post it “straight away!” I love it when she is so excited to share it so I am posting this “straight away!” Playing this memory game and similar games like it with your kids isn’t just fun, boosting memory skills boosts other skills like concentration and attention. The most important thing is to have fun, you are playing with ninjas after all. Gather your materials. 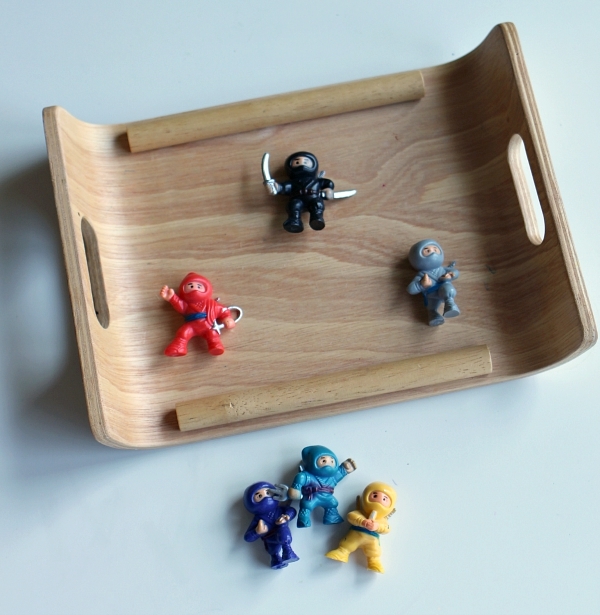 You will need a tray and some ninjas! 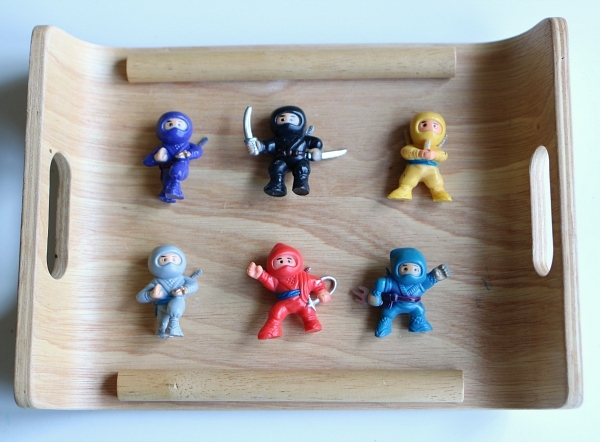 If you are all out of ninjas you can use ANYTHING spoons, forks, coins… whatever you want. We think ninjas are pretty rad, though. Start by arranging your items on a tray. Allow your child to study the items. Time to turn around. NO peeking! While your child isn’t looking take a ninja away. 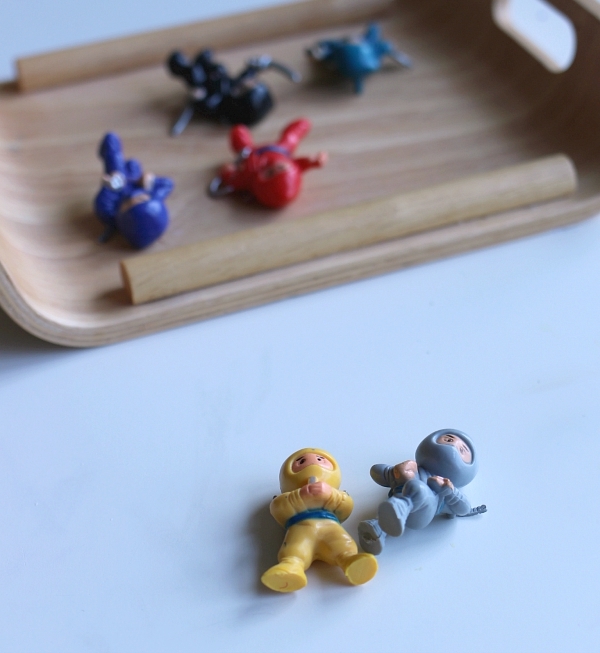 Have your child turn back around and tell you which ninja has gone incognito! She got it! 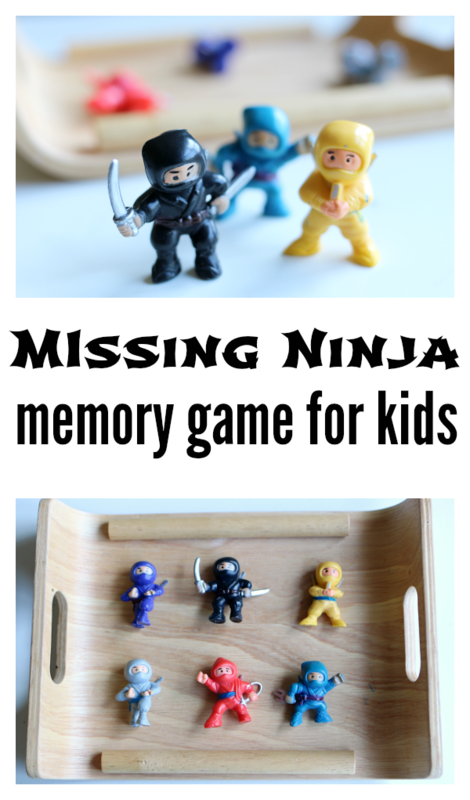 We kept playing taking turns with her hiding the ninjas and me guessing. It was such a fun game that took ZERO time to set up and kept her completely interested and focused. Yay for ninjas! 1. 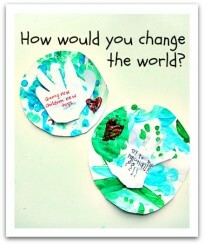 Don’t ask the children to close their eyes, instead take the tray and turn your back to the circle, and remove an item. 2. Choose specific children to guess do not just say ” What’s missing?”. 3. In large groups use large items so every child can see. 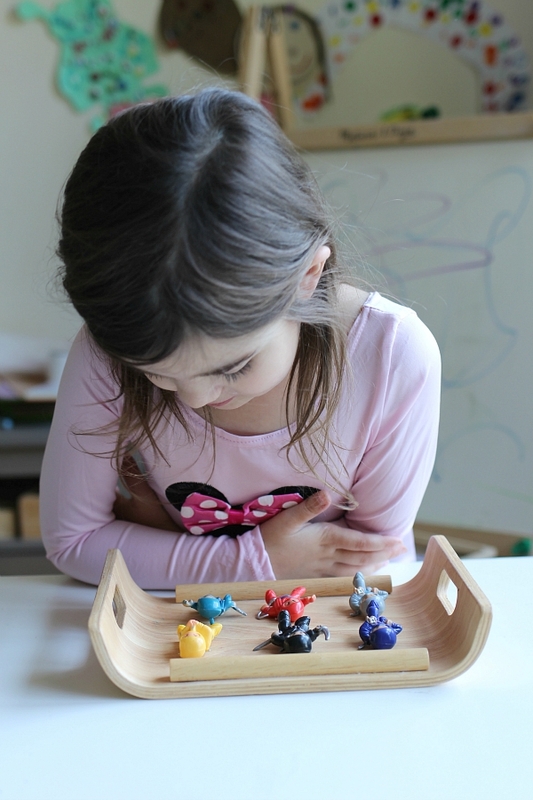 I am often asked if I teach at a Montessori school and the answer is no, although I try to incorporate many Montessori-inspired activities into my class. 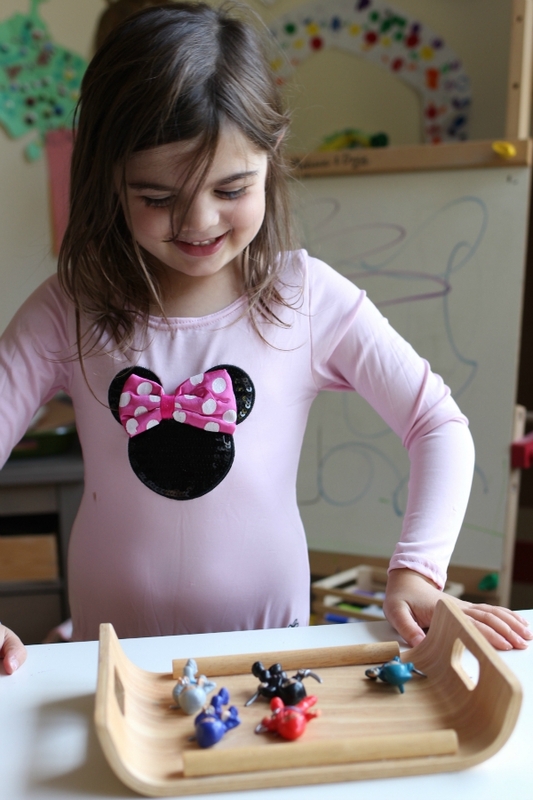 Here is a wonderful resource to check out if you are looking for Montessori activities; Living Montessori Now. Next Post: FREE Printables For Alphabet Cookies! 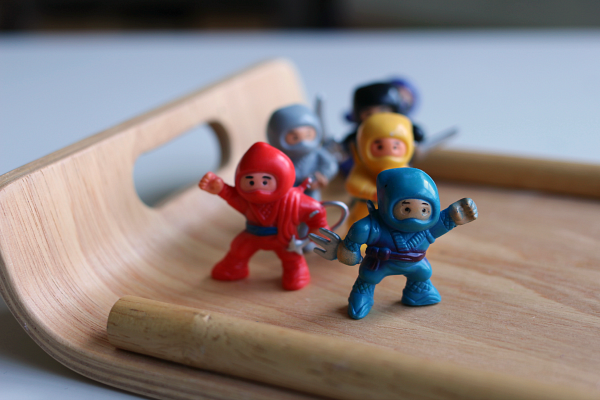 Where did you get these cute little ninjas? Looking through Amazon but it’s hard to tell. 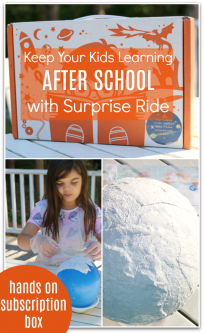 This is a great idea and looks fun. Thank you!